Stagee is a social network that brings would-be performers and potential audiences together, currently in alpha. The startup aims to provide aspiring musicians, actors, dancers, entertainers of all variety a platform to share their skills. The gatekeepers of stardom or entertainment fans can scope out new talent using the site. Put yourself out there. Who knows where your gifts might take you? (At least think of all the water we might conserve by performing out of the shower.) 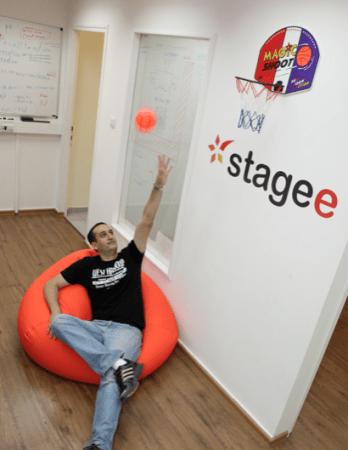 As Stagee Co-founder and CEO Lior Maimon reminds dreamers and KillerStartup readers–regardless if you want to be a rock hero or entrepreneurial pioneer–you must believe. We’re in the entertainment business, so Stagee–it’s Stage with one more “e” and it sounds more groovy & cool. We started with 3 and now we’re 5. The most important challenge was to understand that we built a beautiful product, but not a correct product. Our last version had really nice graphics and a strong concept, but the flow and user experience fell flat. The challenge was to take the entire product apart and rebuild it. It was pretty tough both physically and mentally, but was worth every hour and every penny. Frustration is part of any startup. You need to believe and believe and believe. Believe in yourself, believe in your product, believe in your team, and believe in your dreams! Don’t let anyone stand in your way–unless “anyone” is “everyone,” in which case, you should probably take a step back and think. Definitely bumpin’. 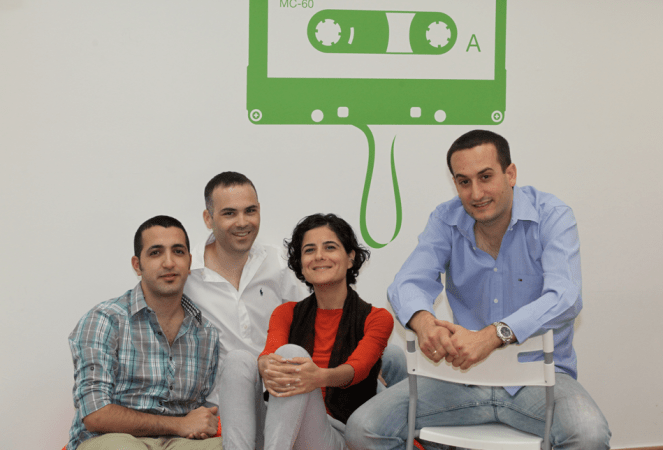 We believe that creativity is to be different and not traditional. Think out of the box… If it’s not fun, why to do it? Influencing millions of millions entertainers and entertainment lovers all over the world. A big & international brand that helps talents all over the world build and promote their careers, helps the entertainment industry to cast more easily and effectively, and brings to all the entertainment lovers (our viewers) a really cool and interesting platform to discover new entertainment. Great leaders, entrepreneurs and business people who built great companies and lead them to the top. It can be technologies but not only. As an entrepreneur, I’m so aware of all the challenges that I’m very inspired by these guys. Private investors (Angels). We did a seed round last year after a road trip around lots of angels. Be a deductive person! Always keep analyzing and learning your users, learn what they need. You are walking in no-man’s-land, not you or your users always know what’s best for the product. The way is to be with very low pride and keep learning. In order to achieve this I recommend following these basic steps. It’s very easy–I would open another startup. If you mean year off as in a vacation (without working), I would definitely spend it with my family. I prefer to be modest and not to give myself grades. Life will tell. Couldn’t live without is pretty extreme, but as a CEO I can say that without Dropbox (I know it’s not a site, but a service) it could be a big problem. Of course Stagee is fully integrated with Facebook. Also, LinkedIn gives me really good connections to the industry. Finally, what is the perfect product? Product that is never perfect is the perfect product. Once we think we’ve got the perfect product we stop innovating. If we don’t innovate, the product won’t be perfect.